Six Books Now Available Free on Smashwords! Who doesn’t love a free book? If you’re a Smashwords reader, you can cash in and get six of my fiction titles for free. You can also order them in paperback (not free) or Kindle (almost free, only a buck) on Amazon. Titles and links are below. Share and enjoy! A teenager who aspires to be the next George Lucas accidentally writes himself into a sci-fi universe of his own creation! The creator of the Cave World makes life harder for a struggling friend when he writes her into the fictional universe he created as the most wanted woman in the galaxy. After a crushing defeat at the hands of her arch-nemesis War Eagle, a notorious super-villain returns to her quiet Iowa hometown with enemies of all kinds hot on her heels. After saving the world from a deadly menace not once but four times, mercenary turned nun Trish Angel gets a chance to start over on a different planet. But when an alien menace rears its ugly head, Trish must face the choice of keeping her vow never to kill or saving humanity again. Collections may seem like an odd occupation for a special forces veteran, but there’s nothing normal about Max Rogan’s job. While most collection agents are after cars and tech toys, Max’s quarry is a little higher end: human shells, created and cloned in a genetics lab for the purposes of organ transplants. In a private institution, a young woman suffers a broken heart when the man she loves suddenly vanishes. There’s no explanation, and no time for a goodbye. In another institution a man is presented with some startling news: he is a clone, a custom made “shell” created for a client whose body is nearly spent. Soon his mind will be gone, replaced with the mind of his aging benefactor. Free Kindle Books – Five Days Only! Want some free books? Several of my titles are available free now through Tuesday, April 9. Click the links below to see what’s available, then follow the links to Amazon to get these titles for free. Offer ends on April 9. Stock up your Kindle for summer now! It’s been a while since I delved into the science fiction realm, but I’m itching to get an old project finished and released in the next year. Die Alan Die is a typical love story in many ways. Boy met girl. Girl dumped boy. Girl from alternate universe shows up to kill boy. It’s filled with humor, inter-dimensional travel, time travel, chases, general mayhem, and you guessed it: dragons. Like many current sci-fi hits, Die Alan Die is also rife with pop culture references. The one difference is my pop culture references date back to the 1930s, including a stellar supporting role by the tragic blonde bombshell Thelma Todd. If that’s not enough to make you want to read it, there are hundreds of sci-fi authors still churning our dreary tales of dystopia for you. For those that are interested in giving a PDF version of the current, no doubt typo-filled draft a read, email me at johncosper@yahoo.com. I am currently seeking beta readers, and I’d love to get your thoughts. I thought it was just me. Used to be I could post a casting notice on a website or Yahoo Group (remember those?) and get dozens of replies within hours. Now I post a casting notice on Facebook group and get nothing. A fellow filmmaker, who is still very much in the game, assures me it’s not me. Actors are different these days. Ten years ago everyone jumped at the chance to do anything on camera. Now they’re more savvy. This is both good and bad. It’s good because a lot of perverts post casting notices for reasons other than actually making a movie. You don’t just answer any casting call, especially if you’re a woman, without checking it out first. It’s bad because there are some actors who create problems on set that I never had – like an extra holding up a shoot demanding a lead actor be replaced on an unpaid project. I miss it, but I don’t. The scheduling headaches and the time away from my babies (now 10 and 11) was the reason I left, and there are now more reasons to stay out. I still have many very talented actor friends from those days, and most of those folks will still say yes because I finish what I start. I also have a lot of friends who “used to act” and will come out to do things just for the fun of it. You get a lot fewer attitudes and a whole lot more collaboration and laughter with them. I am exceptionally grateful to everyone who ever auditioned for me or sent an acting resume. I had a blast, and I am thankful that some truly amazing people would still come out and work for me if I asked – even though I’m much closer to Phil Tucker than James Gunn as a film director. No, this not me swearing off film. Just some thoughts I had after a good catch up with a fellow director while trying to cast my next wrestling short. For the record I’m using a new actor (the only new face who responded to my last casting call) and one old friend I haven’t worked with in over a decade. Should be a good time for all. Speaking of films I made, here’s a classic. Hope you enjoy it. I’m ending the week and this series of blogs with my newest book release. The Original Black Panther has been a labor of love five years in the making, and I wanted the cover to be something truly special. Erik Hodson, Kevlen Goodner, and Sei Ozawa were all on my short list of artists for this project, but before I reached out to any of them, I heard from Adrian Johnson. Johnson is a member of the “Cult of Cornette,” and he heard about the book from an interview I did on Jim Cornette’s project. 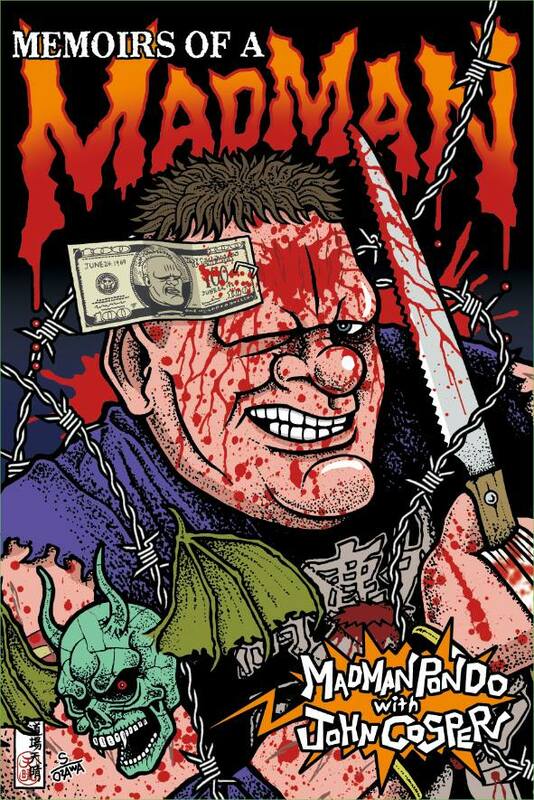 Adrian sent me a link to his website and asked if I had a cover artist. I was impressed with what I saw, so we discussed details of what I was looking for, and he went to work. To say he exceeded my expectations is to sell it short. This is one of my favorite book covers, and Adrian insisted on doing not only the front, but the spine and back. He stuck with I through multiple tweaks, and he was always quick to respond to the tiniest of adjustments in the final days. It looks beautiful on screen, and I cannot wait to have it in my hand. Adrian’s work can be seen on his website. He’s a remarkable person and a great talent, and I hope this cover helps him to gain a lot of exposure. I can’t thank him enough. The Original Black Panther is now available on Amazon.com! 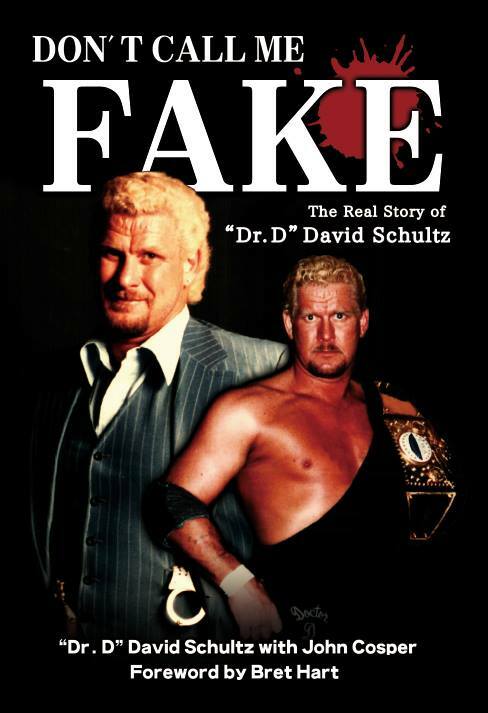 Dr. D David Schultz’s autobiography was a truly international product, written in the United States and edited in Great Britain with a foreword by Bret “Hitman” Hart written in Canada. How did I finish it off? With a beautifully designed book cover created by Japanese artist Sei Ozawa. Ozawa and I became friends on Facebook through Mad Man Pondo, whom Ozawa met during his tours of Japan. Ozawa has designed most of Pondo’s T-shirts over the years as well as shirts for many other Japanese and American wrestlers. Knowing how good he is and much Pondo admired his artistic skills, it was only natural I went back to Ozawa when I needed a cover for Pondo’s book. Ozawa is an incredibly talented artist and an incredibly kind and generous person. I hope one day I am able to take him up on his offer to show me around if I ever visit Japan. I’m bragging on my book cover artists this week, but I’d be remiss if I did not mention the incredible Kentucky artist who brought my kids’ favorite bedtime story to life. I met Rick McGee the same way I met Kevlen Goodner and Erik Hodson – at a comic convention. Just as we now have art work of Kevlen’s and Erik’s in the house, we have art by Rick. As a matter of fact I have an original Rick did of my kids with the villain of that infamous bed time story, Frank Jordan: Evil Snowman. It was so much fun working with Rick. His art work is always clever and creative. A vertical sketch he did of Indiana Jones descending into the Well of Souls is one of my favorite things hanging up in the house. Rick gave real life to Frank Jordan: Evil Snowman, and despite the ominous title, the book is a hit with every child who gets a copy. If you are looking for something truly original and fun to read at bedtime, please pick up a copy on Amazon. I first saw Erik Hodson’s work at a comic con in Louisville, and I immediately loved his work. 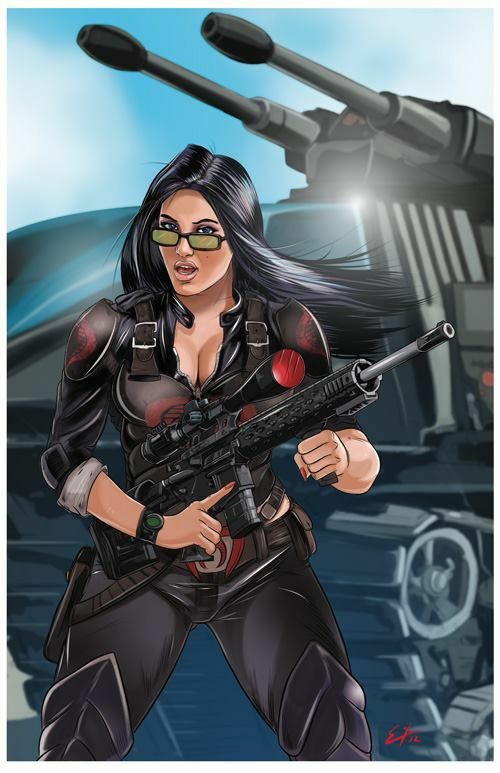 It was a print of the Baroness from GI Joe standing in front of a H.I.S.S. that sold me on him, but his print of Sgt. Slaughter holding Cobra Commander and Hulk Hogan in headlocks was foreshadowing of what was to come for both of us. I first used Erik to create the book cover of Space Kat, using actress Megan Mooney (who plays Kat in the trailer for the book) as the model for Kat. I later went back to him to create a new cover for Martian Queen using my frequent collaborators Ally LaBar and Denny Grinar for inspiration. Erik has become the go-to art guy for the pro wrestling world, and he was the official artist of Starrcast in September. I am certain he’ll be asked back for Starrcast II. We reconnected this fall, and he did a third cover for me – this one for the Bomb Shelter’s debut novel, A Scattered Timeline. Simply put, Erik Hodson is an incredible artist. His work always amazes me. My kids have a Gravity Falls print of his hanging upstairs, and one of these days I’m going to get either Baroness or Sgt. Slaughter for my basement. It’s always a pleasure to work with him, to visit with him, and see what he’s created since our last visit. Visit Erik’s webpage to see more of his remarkable work. I’ve decided to spend the week saying thank you to some amazingly talented artists who have contributed to my books. I’m starting with a man who has not only been a friend to me, but to my aspiring artist daughter Lydia. Lydia and I met Kevlen Goodner at the Derby City Comic Con a few years ago. Lydia decided to cosplay not as a character but as an artist, and she and Kevlen hit it off. We bought a black and white print of the Peanuts dressed as Star Wars characters that now hangs in her room. Since that time the two of them have traded art a few times, and she now has a total of three prints of his in her room. I hired Kevlen to do the cover art for Louisville’s Greatest Show. Kevlen really captured the essence of the artwork from the old wrestling newspaper ads, recreating the likenesses of promoter Heywood Allen along with the French Angel, Gorgeous George, and Stu Gibson. It’s one of my favorite book covers. Kevlen had a serious medical setback a few months ago, and he’s been on the slow road to recovery every since. 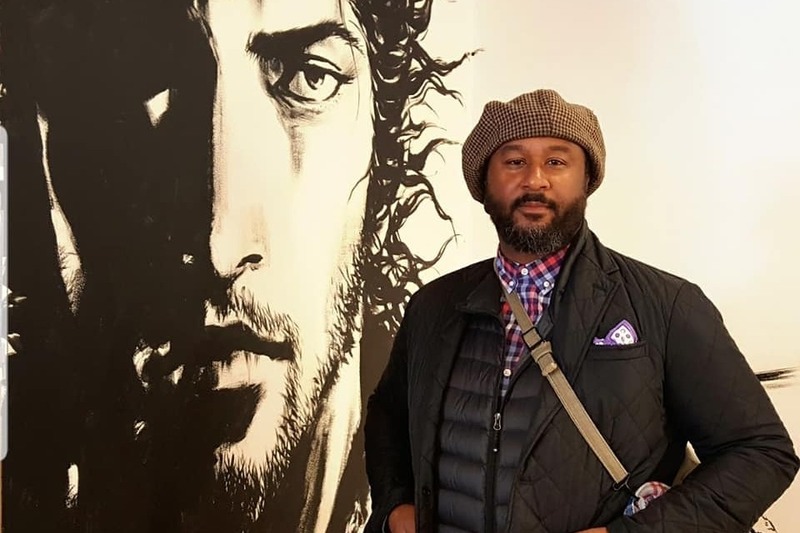 We are praying every day that he continues to improve so he can get back to what he loves – teaching and making art. If you are so inclined, please consider giving to the Go Fund Me now set up to help with his medical expenses. Click here to read more and give. Here’s an old idea I had for a movie. Probably better suited to a short subject rather than a feature, but who knows? Logline: A modern day office breaks into tribal warfare in an updated version of the classic novel Lord of the Flies. Synopsis: Around 9 am on a normal Tuesday, a busy sales office discovers that their branch manager is dead. With no central leader to keep order, the office breaks down by department into factions. Sales, Accounting, Purchasing, Customer Care, Administrative, and HR all begin to stake our territories and slowly turn tribal. Small skirmishes flare. By just after lunch, it’s clear the whole office is headed down a path of destruction. The sales department is the most aggressive, having beaten the HR department into submission and claimed the break room area for themselves. When the sales manager begins to have second thoughts about what is going on, his top sales rep stages a coup, and the sales manager is exiled into no man’s land – i.e., the production plant, which has become a savage wasteland inhabited by the violent production workers. Meanwhile, customer care attempts to form an alliance with purchasing, accounting, and admin to stave off destruction at the hands of sales. Food is scarce, though, and it’s up to the rookie in customer care to brave no man’s land to cross through the plant, raid the vending machine, and return. He makes it back with an armful of Cheezits and Payday bars, wounded but alive, and the alliance is forged just in time for battle. Armed with staplers, letter openers, and rubber band guns, the sales force strikes in an attempt to obliterate their colleagues and conquer the whole of the office. The bloody battle begins at 4:58 pm, but as soon as the clock strikes five, everyone stops what their doing, grabs their stuff, says their goodbyes, and heads home. We end on a shot of the dead manager, his head still on the desk, rotting away. This idea came to me many years and a few office jobs ago. I never pursued it because (A) I could never seem to get a start on it, and (B) I never read Lord of the Flies nor had the desire to read it. I don’t write about dystopian melodramas full of teenage angst. I write about spaceships, laser guns, aliens, robots, monsters, cyborgs, time travelers, fairy tales gone noir, evil snowman, and whatever else makes me smile. Copyright © 2019 John Cosper. All Rights Reserved.